Little Leaguers elbow is a common term for an avulsion lesion to the medial apophysis. 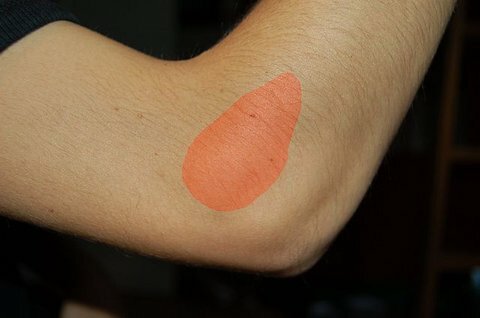 The repetitive motions involved in the various phases of throwing place enormous strains on the elbow, particularly during the late cocking and acceleration phases, which can result in inflammation, scar formation, loose bodies, ligament sprains or ruptures, and the more serious conditions of osteochondritis or an avulsion fracture. Little Leaguers elbow may start insidiously or suddenly. Usually, a sudden onset of pain is secondary to fracture at the site of the lesion. Clinical findings include a history of pain on the medial side of the elbow, with and without throwing. Physical findings relate to the specific lesion, but are commonly a persistent elbow discomfort or stiffness due to aggravation by the injury. A locking or "catching" sensation indicates a loose body. Management is conservative, involving rest and elimination of the offending activity for 3 to 6 weeks. If osteochondritis dissecans is present, the joint needs protection for several months. The patient cannot return to pitching until full and normal motion has returned. To prevent elbow disorders, young athletes should adhere to the rules of the Little League, which limit the number of pitches per game, per week, and per season, and the number of days of rest between pitching. The pitch count is the most important of these statistics. Surgical intervention is reserved for those patients with symptoms of a loose body, osteochondritis, or who fail to respond to conservative therapy. These injuries typically occur in athletes between the ages of 9 and 16 as a result of overuse of the pitching arm, which can cause multiple small injuries to the elbow and shoulder. These injuries are most common in pitchers but also occur in catchers, infielders and outfielders, as well as in other athletes who do overhand activities like volleyball and tennis. Little Leaguers elbow is the result of repetitive stress to the growth plate on the inside of the elbow. 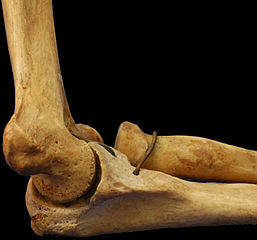 The growth plate is a small, soft part of a bone, located near both ends of long bones. 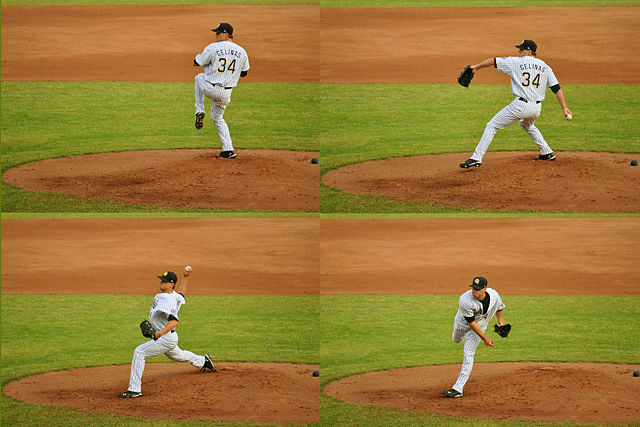 The greatest stress occurs during the acceleration phase of throwing a baseball. Growing bones are easily injured because the growth plate is much weaker than the ligaments and muscles that attach to it. Once the growth plates fuse, athletes are more likely to injuries tendons and ligaments instead. Little Leaguers elbow usually begins gradually without a specific injury, but a distinct painful pop may occasionally be felt. It is not uncommon for young athletes to minimize their symptoms so they can continue playing. They may also experience aching, sharp pain and swelling on the inside of the elbow. Advanced stages of the disorder may include small fractures of the growth plate, bone chips, or early arthritis and bone spurs. X-rays can help determine if a growth plate is still open and if it is widened. They can also show other bone problems, loose bone chips, and early arthritis. X-rays in patients with Little League elbow and shoulder may show nothing abnormal, but the athlete may still have pain. Treatment involves 3 stages: rest, rehab, and return to pitching. At first, complete rest from all throwing activities is important. Ice and anti-inflammatory medication can help to relieve pain and swelling. Individualized physical therapy programs, including a range of motion and strength exercises, progressing to include strengthening of the forearm, upper arm, shoulder, back, and core are recommended. Return to throwing program once pain free with rehabilitation program. Players can return to throwing when they are pain-free and have full range of motion and strength. They should progress gradually from non-throwing positions (like designated hitter), through less throwing positions (like first and second base), to full effort throwing positions. A return to pitching program,which outlines a progression of the number and distance of throws, should be considered for these young pitchers.Most cases of Little Leaguers elbow clear up with rest and conservative management. However, the timeline for recovery is different for every athlete. Little Leaguers elbow and shoulder can be prevented. Talking to a child’s pitching coach about the way they throw, where they release the ball, and how they position their arm and wrist can help improve technique and protect them from pain. Year-round fitness conditioning is important as well, along with resistance training, including arm, shoulder, back, trunk, and hip strengthening, and aerobic conditioning. 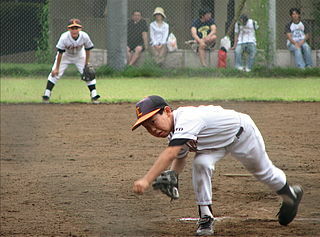 In addition, baseball players need a period of “active rest” where they don’t throw but are able to play other sports. This rest period should last 3 to 6 months to give the body time to rest and recover. Pitch counts are necessary at all levels of baseball and important for all young pitchers, parents and coaches to be familiar with. Young pitchers need to work first on control (getting the ball in the strike zone), then command (being able to place the pitch in certain areas of the strike zone), and increasing pitch speed. They also need to avoid other high-demand throwing positions and should also rest from pitching for 24 to 48 hours after an outing, including backyard practice. Athletes in every sport should listen to their bodies carefully and avoid playing through pain.